Join us for our Family Fun class! We will be sharing information regarding some free fun local events and local summer programs; easy crafts and activities to do at home; and we’ll be doing a craft here in class! 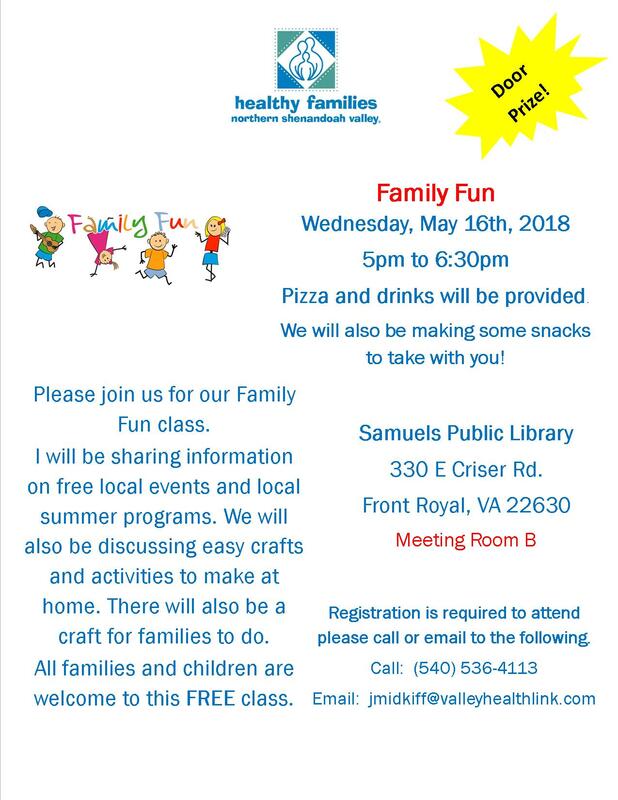 ← Healthy Families Pizza & Parenting – Positive Guidance Monday, May 21st!